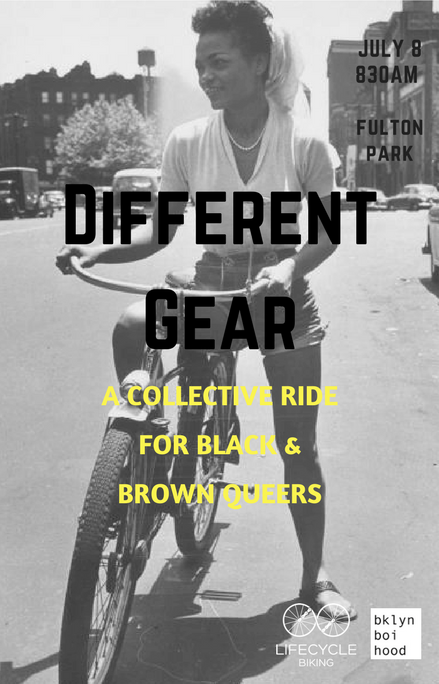 Different Gear is a ride series aimed at uniting queer communities of color through cycling and camaraderie. 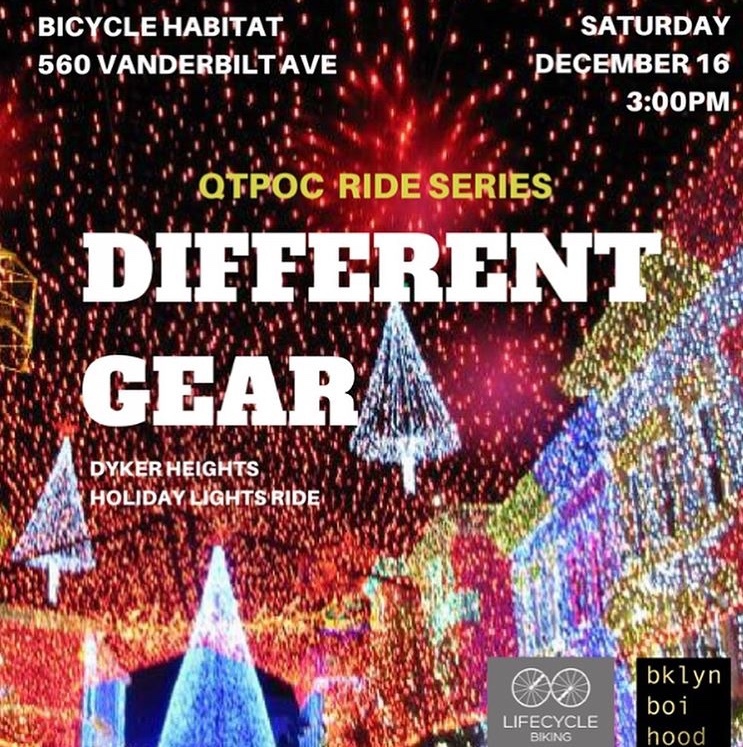 Bring a small blanket and treat to share as we ride around the boroughs, always ending with us gathering together to chat, debrief, stretch, explore or do whatever feels good in the moment. Choose alternative transportation with us to love on Queen Mother for our 2019 series launch celebrating Earth Day! PLEASE NOTE - We respect and appreciate our healthy allies and explicitly name that our mutual work is a space where the empowerment and visibility of QTPOC is centralized. 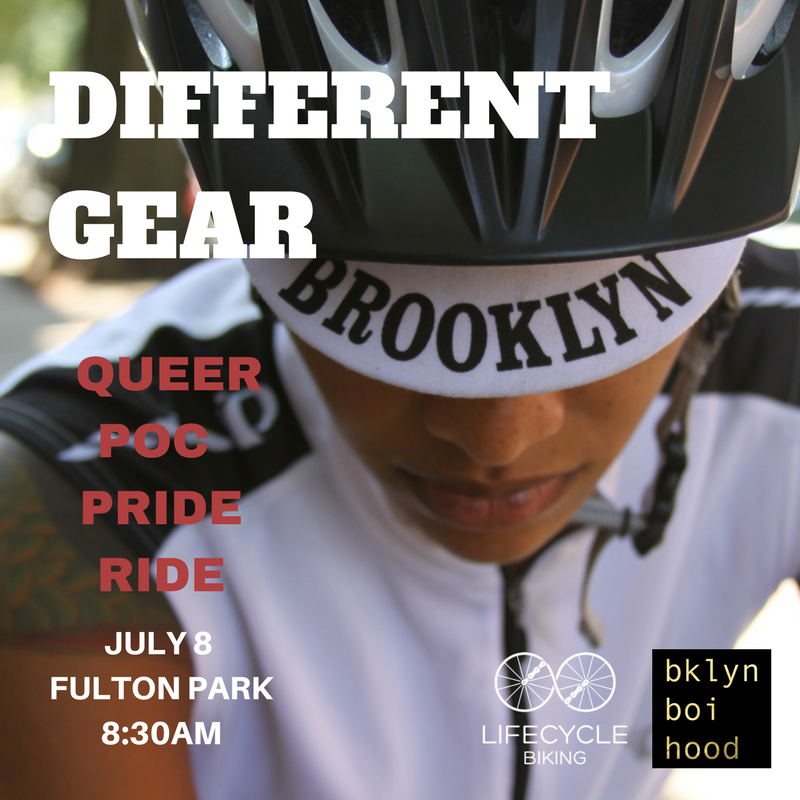 For the purposes of Different Gear, ALLY is defined as a person that does not identify as a queer or trans person of color whom is open to share opportunities to grow/find/acquire resources, visibility and advance the work in which we are already engaged. 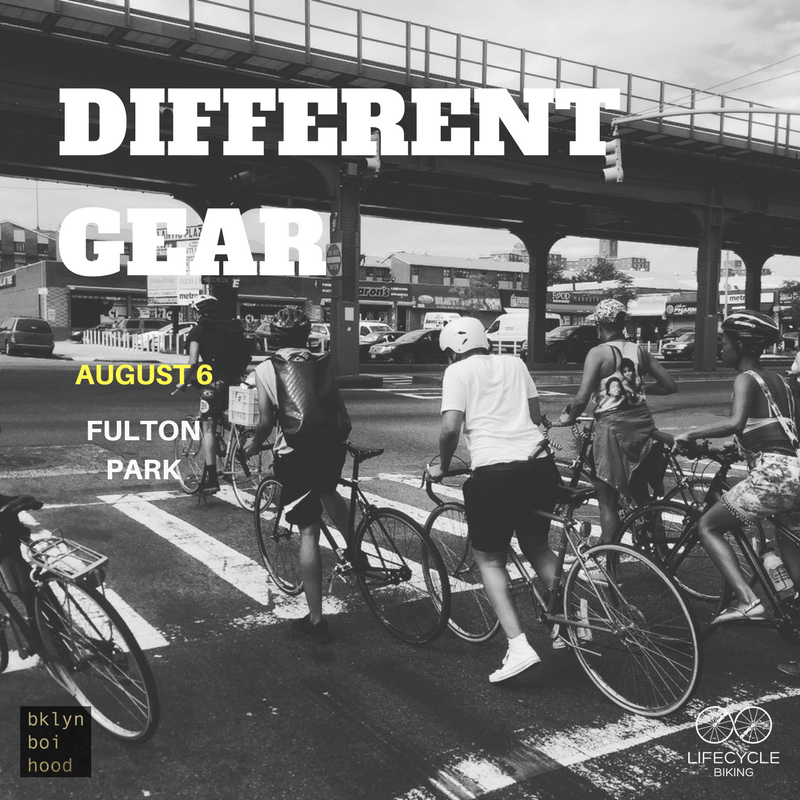 While we understand that everyone's financial, physical, and mental attributes are different, we ask that you wear a helmet. Please bring a lock to secure your bike and cash to purchase things along the way. This is a no drop ride, meaning no one will be left behind. Route to be announced and cue sheets will be provided.